What can biotechnology contribute to achieving the United Nations’ sustainable development goals? The BIOCOM exhibition “Bioeconomics in Everyday Life” at BiotechWeek 2018 provided answers. 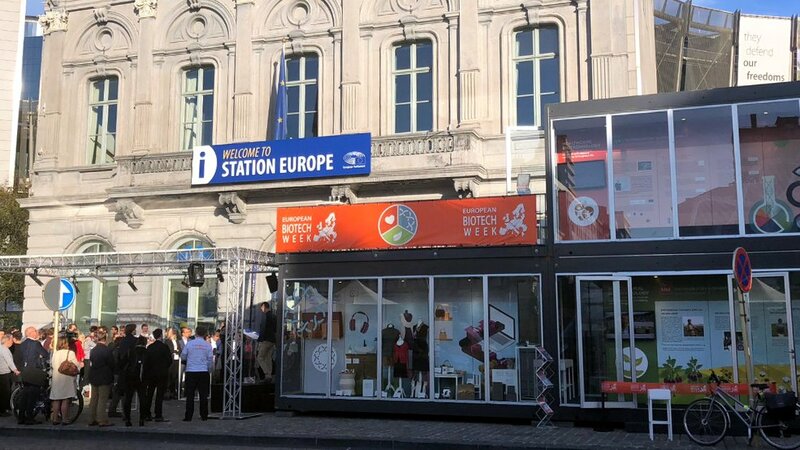 The unique exhibition in Brussels provided information throughout the European BiotechWeek on the role the bioeconomy already plays in the everyday lives of many people today. It gave an insight into the range of products that can be produced from renewable raw materials with the help of industrial biotechnology. Together with the two neighbouring exhibitions on plant biotechnology and medical biotechnology, they attracted hundreds of visitors despite the rainy weather.